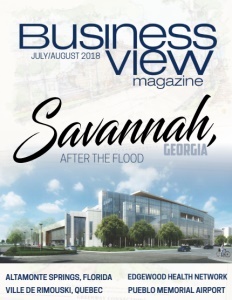 Business View Magazine interviews Marc Parent, Mayor of the Ville de Rimouski, Quebec, for our focus on innovation and community development in Canadian cities. 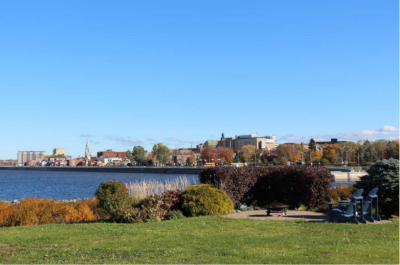 A major urban center in the Bas-Saint-Laurent administrative region, the City of Rimouski is ideally located on the shores of the St. Lawrence River, where residents enjoy an exceptional quality of life and entrepreneurs are welcomed and prized. This thriving regional metropolis is a hub for businesses, personal and professional services, educational institutions, health care facilities, and home base to a variety of corporate headquarters and administrative centers that drive the city’s economic engine. Surrounded by a natural laboratory, and home to many research and teaching centres, Rimouski has earned status as the Marine Technopole of Quebec. The city’s commercial seaport strategically opens to large European markets and the Canadian and American Great Lakes. Specialists in maritime technologies and applied research (Innovation Maritime) and intermodal maritime transport (CFoRT) make the port of Rimouski an important center for development of maritime transport and technology. Mayor of Rimouski, Marc Parent, shares, “People relocate here from Montreal and Quebec City, when they realize if they want to move forward professionally and maintain a great quality of life, that Rimouski, with its 50,000 people, offers all of that.” The Complexe Sportif Desjardins project, seen as one of the missing stones in the infrastructure of Rimouski, is a great example. The city was short of recreational facilities – swimming pools, ice rinks – so it made a proposal, supported by the provincial and federal governments, and in April 2017, the $40 million project was announced. Jean Pierre Ouellet is the rector at UQAR, and heavily involved in the University’s collaboration with the sports complex. He notes, “We will have access to a laboratory within the complex and we’ll use that to develop a kinesiology health program around physical activity; assessing physical fitness through research at this facility. It’s tightly linked to the University, so it will become an asset for us to attract new students.” In addition to municipal, provincial, and federal financing, the complex was also funded by Desjardins. The company’s $4 million contribution to the project earned them naming rights and tremendous thanks from the community. Health services and related businesses are major employers. There are 8,000 workers in health services in the lower St. Lawrence region; many of those in Rimouski at the area’s original healthcare center. Telus is the next largest employer with 1,400, and a couple other companies have 700 to 1,000. 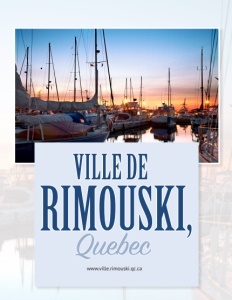 Rimouski also has a vibrant SME economy with several industries in the range of 50 to 200 employees. 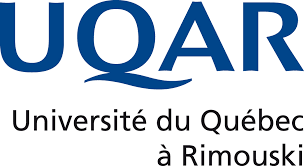 The University has 500 full-time employees, and 600 global researchers in Marine Science work at the three maritime research centres: the Institut des sciences de la mer, (marine sciences institute); the Institut maritime du Québec, (Quebec maritime institute); and the Maurice Lamontagne Institute (Canadian government marine sciences research center). Hydro-Québec’s regional service centre, the courthouse, and federal and provincial agencies add to employment numbers in the services sector. The St. Lawrence River ‘Odyssey’ research program was just launched with a $15 million government investment. The mandate is to glean a better understanding of the river – the impact of climate change and the increase of maritime transportation – and look for ways to reduce negative impacts. Parent acknowledges, “From a Mayoral point of view, the impact of global warming with higher tides, storms, and the ice coverage not as prominent as it used to be, has some residents worried. The University research provides us with a better understanding of this new reality and a mechanism we could put in place to either modify the rules around the establishment of properties or give guidelines before allowing folks to build a new residence. 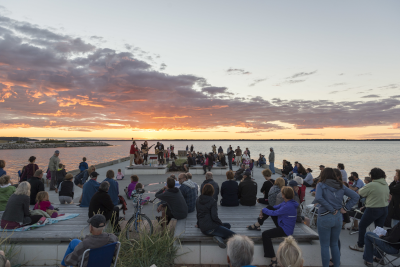 “One of the strengths of Rimouski in the blue economy – we’re not building ships, but we’re building the knowledge around all those traditional activities. We have companies optimizing consumption of fuel for boats and we just signed a huge contract with the Coast Guard for that.” Smart buoys collect big data and interact with scientists to look at the impact of sailing on the environment and improving ship design. Rimouski has a new industry developing technology for diving that connects surveying and infrastructure data companies and the research centers. Check out this handpicked feature on Saskatoon Saskatchewan – Growth and opportunity.